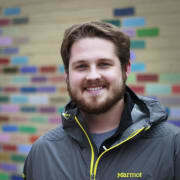 Stream is an API that enables developers to build news feeds and activity streams (try the API. We are used by over 500 companies and power the feeds of more than 300 million end users. 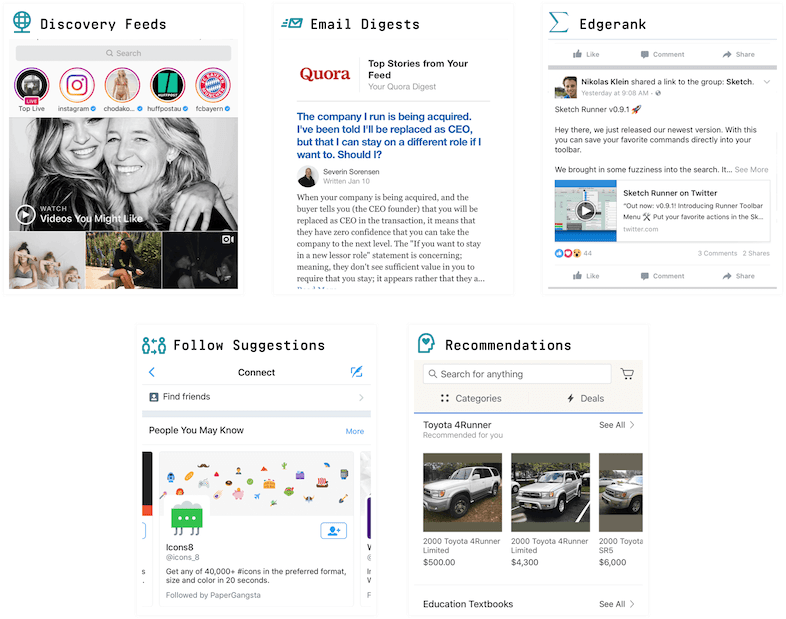 Companies such as Product Hunt, Under Armour, Powerschool, Bandsintown, Dubsmash, Compass, and Fabric (Google) rely on Stream to power their news feeds. In addition to the API, the founders of Stream also wrote the most widely used open source solution for building scalable feeds. Go is our primary programming language. We use a custom solution built on top of RocksDB + Raft for our primary database (we started out on Cassandra but wanted more control over performance). PostgreSQL stores configs, API keys, etc. 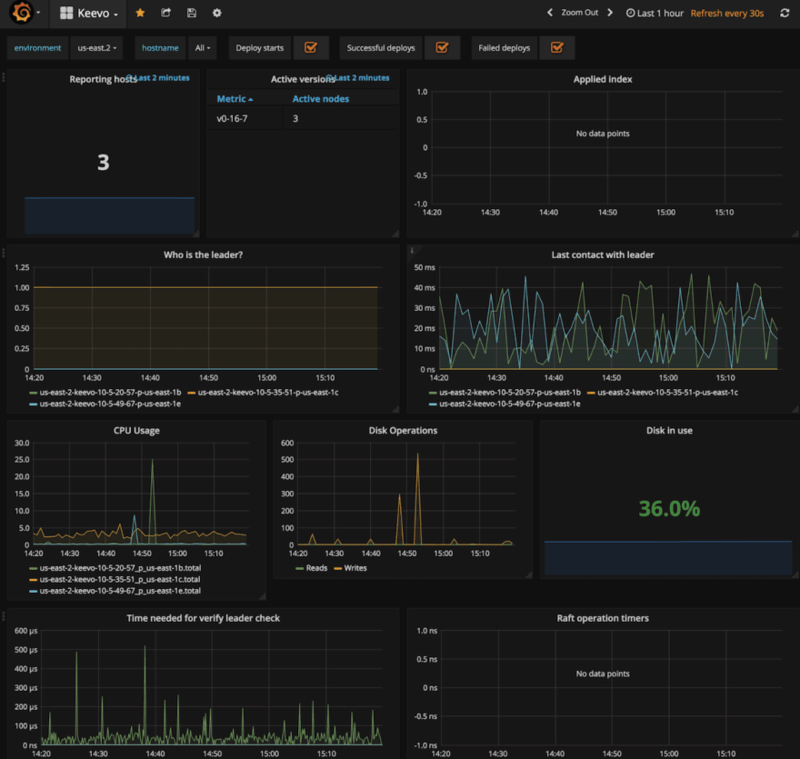 OpenTracing and Jaeger handle tracing, StatsD and Grafana provide detailed monitoring and we use the ELK stack for centralized logging. Python is our language of choice for machine learning, DevOps and our website https://getstream.io (Django, DRF & React). Stream uses a combination of fanout-on-write and fanout-on-read. This results in fast read performance when a users open their feed, as well as fast propagation times when a famous user posts an update. Tommaso Barguli and Thierry Schellenbach are the developers who started Stream nearly 3 years ago. We founded the company in Amsterdam, participated in Techstars NYC 2015 and opened up our Boulder, Colorado office in 2016. It’s been quite a crazy ride in a fairly short amount of time! With over 15 developers and a host of supporting roles, including sales and marketing, the team feels enormous compared to the early days. Fanout-on-write: basically precompute everything. It’s expensive, but it's easy to shard the data. Fanout-on-read: hard to scale, but more affordable and new activities show up faster. Combination of the above two approaches: better performance and reduced latency, but increased code complexity. After years of optimizing our existing feed technology, we decided to make a larger leap with 2.0 of Stream. While the first iteration of Stream was powered by Python and Cassandra, for Stream 2.0 of our infrastructure we switched to Go. The main reason why we switched from Python to Go is performance. Certain features of Stream such as aggregation, ranking and serialization were very difficult to speed up using Python. We’ve been using Go since March 2017 and it’s been a great experience so far. Go has greatly increased the productivity of our development team. Not only has it improved the speed at which we develop, it’s also 30x faster for many components of Stream. The performance of Go greatly influenced our architecture in a positive way. With Python we often found ourselves delegating logic to the database layer purely for performance reasons. The high performance of Go gave us more flexibility in terms of architecture. This led to a huge simplification of our infrastructure and a dramatic improvement of latency. For instance, we saw a 10 to 1 reduction in web-server count thanks to the lower memory and CPU usage for the same number of requests. 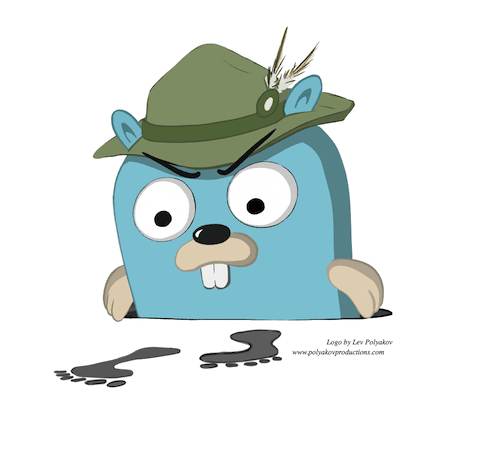 Initially, we struggled a bit with package management for Go. However, using Dep together with the VG package contributed to creating a great workflow. Go as a language is heavily focused on performance. The built-in PPROF tool is amazing for finding performance issues. Uber’s Go-Torch library is great for visualizing data from PPROF and will be bundled in PPROF in Go 1.10. 1.0 of Stream leveraged Cassandra for storing the feed. Cassandra is a common choice for building feeds. Instagram, for instance, started, out with Redis but eventually switched to Cassandra to handle their rapid usage growth. Cassandra can handle write-heavy workloads very efficiently. Cassandra is a great tool that allows you to scale write capacity simply by adding more nodes, though it is also very complex. This complexity made it hard to diagnose performance fluctuations. Even though we had years of experience with running Cassandra, it still felt like a bit of a black box. When building Stream 2.0 we decided to go for a different approach and build Keevo. Keevo is our in-house key-value store built upon RocksDB, gRPC, and Raft. RocksDB is a highly performant embeddable database library developed and maintained by Facebook’s data engineering team. RocksDB started as a fork of Google’s LevelDB that introduced several performance improvements for SSD. 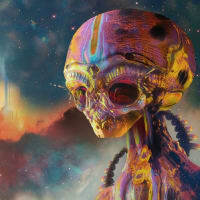 Nowadays RocksDB is a project on its own and is under active development. It is written in C++ and it’s fast. Have a look at how this benchmark handles 7 million QPS. In terms of technology, it’s much more simple than Cassandra. This translates into reduced maintenance overhead, improved performance and, most importantly, more consistent performance. It’s interesting to note that LinkedIn also uses RocksDB for their feed. Our infrastructure is hosted on AWS and is designed to survive entire availability zone outages. Unlike Cassandra, Keevo clusters organize nodes into leaders and followers. When a leader (master) node becomes unavailable the other nodes in the same deployment will start an election and pick a new leader. Electing a new leader is a fast operation and barely impacts live traffic. To see all our services divided into stacks, head over https://stackshare.io/stream/stacks. Documentation for building personalized feeds. Analytics data is collected using a tiny Go-based server. In the background, it will spawn go-routines to rollup the data as needed. The resulting metrics are stored in Elastic. In the past, we looked at Druid, which seems like a solid project. For now, we could get away with a simpler solution though. The site, as well as the API for the site, is powered by Python, Django and Django Rest Framework. Stream is sponsoring Django Rest Framework since it’s a pretty great open source project. If you need to build an API quickly there is no better tool than DRF and Python. We use Imgix to resize the images on our site. For us, Imgix is cost-efficient, fast and overall a great service. Thumbor is a good open source alternative. 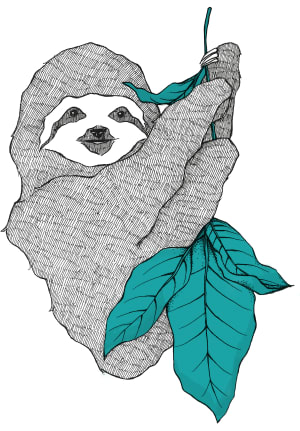 Our real-time infrastructure is based on Go, Redis and the excellent gorilla websocket library. It implements the Bayeux protocol. In terms of architecture, it’s very similar to the node based Faye library. It was interesting to read the “Ditching Go for Node.js” post on Hacker News. The author moves from Go to Node to improve performance. We actually did the exact opposite and moved from Node to Go for our real-time system. The new Go-based infrastructure handles 8x the traffic per node. Because our infrastructure is defined in the code it has become trivial to launch new regions. We heavily use CloudFormation. Every single piece of our stack is defined in a CloudFormation template. If needed we are able to spawn a new dedicated shard in a few minutes. In addition, AWS Parameter Store is used to hold application settings. Our largest deployment is in US-East, but we also have regions in Tokyo, Singapore and Dublin. A combination of Puppet and Cloud-init is used to configure our instances. We run our self-contained Go’s binaries directly on the EC2 instance without any additional containerization layer. Releasing new versions of our services are done by Travis. Travis first runs our test suite. Once it passes, it publishes a new release binary to GitHub. Common tasks such as installing dependencies for the Go project, or building a binary are automated using plain old Makefiles. (We know, crazy old school, right?) Our binaries are compressed using UPX. Travis has come a long way over the past years. I used to prefer Jenkins in some cases since it was easier to debug broken builds. With the addition of the aptly named “debug build” button, Travis is now the clear winner. It’s easy to use and free for open source, with no need to maintain anything. A high level of test coverage is required. Releases are created by Travis (making it hard to deploy without running tests). Code is reviewed by at least 2 team members. Our extensive QA integration test suite evaluates if all 7 components still work. 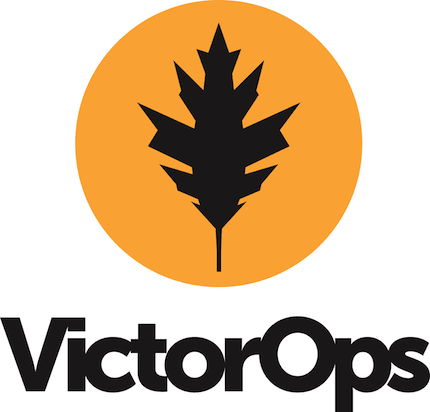 VictorOps is a recent addition to our support stack. It’s made it very easy to collaborate on ongoing issues. The best part about VictorOps is how they use a timeline to collaborate amongst team members. VictorOps is an elegant way to keep our team in the loop about outages. It also integrates well with Slack. This setup enables us to quickly react to any problems that make it into production, work together and resolve them faster. The DevOps responsibilities are shared across our team. While we do have one dedicated DevOps engineer, all our developers have to understand and own the entire workflow. We track our errors in Sentry and use the ELK stack to centralize our logs. 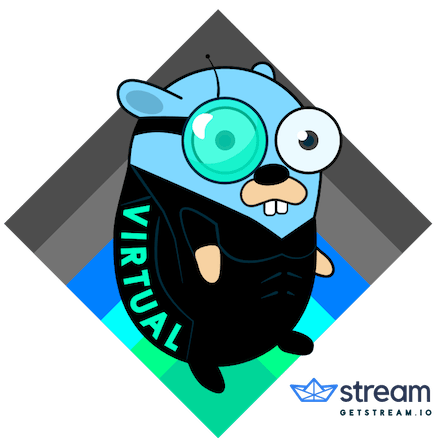 Go is an absolutely amazing language and has been a major win in terms of performance and developer productivity. For tracing we use OpenTracing and Jaeger. Our monitoring is running on StatsD and Graphite. Centralized logging is handled by the ELK stack. Stream’s main database is a custom solution built on top of RocksDB and Raft. In the past, we used Cassandra, which we found hard to maintain and which didn’t give us enough control over performance when compared to RocksDB. We leverage external tools and solutions for everything that’s not a core competence. Redis hosting is handled by ElastiCache, Postgres by RDS, email by Mailgun, test builds by Travis and error reporting by Sentry. Thank you for reading about our stack! If you’re a user of Stream, please be sure to add Stream to your stack on StackShare. If you’re a talented individual, come work with us! And finally, if you haven’t tried out Stream yet, take a look at this quick tutorial for the API. oh, come on, 20k requests per minute -> 333 requests per second, and as you have 180, let's say only 1/4 of them serve http traffic - 7.5 rps. Don't write about high performance if you don't have high load. The link to StackShare shows stackshare.io/stream/stacks, but is actually dev.to/getstream_io/here, which doesn't exist.